When looking at treatment options for addiction, it can be overwhelming how many options there are. In fact, some similar sounding options can have major differences that can make a big impact on your recovery. For instance, a halfway house and a sober living house, even though the terms are often used interchangeably, have some key differences. A sober living house is a relaxed home that former addicts can choose to live in after they’ve completed a treatment program. It often has few rules and restrictions for its inhabitants, and merely offers a supportive environment for those trying to live a sober life. The idea behind choosing a sober living house is to maintain your resolve to live a sober life by remaining in the company of those attempting to do the same. There is often no limit on how long you can stay or utilize the treatment programs offered. 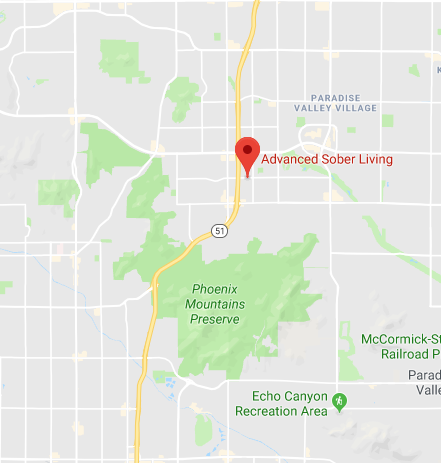 While sober living in Phoenix, AZ often offers community support for those trying to maintain a sober life, there is often not much accountability for remaining in treatment or consequences for relapse. The burden of responsibility is on you entirely to maintain your resolve to stay sober, which can be challenging because this is typically when you need support the most. Like sober living houses, halfway houses provide a community for those committed to sober living. However, they also offer structure and programs designed to keep their inhabitants on track and held accountable to their resolve. While some halfway houses are sponsored by the state and designated for previously incarcerated individuals, many are not for convicted felons, but for anyone who needs support during or after rehabilitation for an addiction. Even after you’ve completed a treatment program, it may be difficult to adjust to a sober life once the program is over and you have the freedom to return to your old life and habits. The support and accountability offered during a halfway house stay can be key to helping you find your way back into your life while remaining committed to sustaining your sobriety. When choosing a halfway house in Phoenix, AZ, the key is finding a balance between the structure of a treatment program and the freedom you’ll eventually have when you live on your own. Additional structure and accountability measures, as well as living with a supportive community, can make a key difference in your recovery. At Advanced Sober Living, we expect those living here to follow strict guidelines in the home and submit to regular inspections of their rooms as well as random drug testing. Curfew, chores and bills help mimic the free life you’ll live after leaving the house, while the structure and rules help keep you on track in your recovery. Relapses are treated as learning opportunities instead of failures, and those who’ve relapsed are given additional support instead of being kicked out of the home. If you’re looking for a halfway house in Phoenix, AZ for you or a loved one, reach out to us today to learn more.